Engineering & construction firm BGR Energy Systems on Wednesday announced the appointment of a professional management team to lead the firm. The management team was appointed following the death of B. G. Raghupathy, the company's founder and former chairman. Sasikala Raghupathy, wife of late B. G. Raghupathy, will now be the chairperson of the board; while A. Swaminathan, the current marketing director, has been appointed as the joint MD & CEO. Billionaire Mukesh Ambani-led Reliance Industries Ltd (RIL) and its global energy partner BP Plc on Friday announced their second major deep-water gas discovery in the Cauvery Basin off the east coast of India. The discovery, which has been named Dhirubhai-56 (D-56), was made on August 17 in the Cauvery basin's CY-DWN-201/2 block. Since the day of the discovery, the exploration well has been flowing nearly 1 million standard cu. m. of gas with condensate (oil) per day, which indicates that it is a major discovery. WS Atkins, engineering consultancy firm, has said that it has recorded higher than expected earnings for the entire financial year 2012-2013. The company, which is listed on the FTSE 250, said that its pre-tax profits rose 2.9 per cent to £104.5 million during the financial year 2012-2013. Analysts were expected the company to record profits of about £102 million for the year. The company recorded strong performance in the UK as its revenues rose 4.7 per cent and its operating profit rose 9.7 per cent mainly due to its involvement in the London Olympic Games. Rio de Janeiro, June 3 : Brazilian state-controlled oil company Petrobras said its domestic oil output climbed 4.2 percent in April compared to the previous month to a daily average of 1.92 million barrels. In a statement, Petrobras said the figures only included fields where the company is the operator and does not include others where it merely has an ownership stake in a block. Engineering giant Crompton Greaves on Friday reported a decline of nearly 75 per cent in consolidated net profit for the quarter ended March 31, 2013. The Avantha Group firm reported a consolidated net profit of Rs 25.27 crore in the fourth quarter of the fiscal year 2012-13, as against net profit of Rs 100.32 crore in the corresponding quarter of the previous fiscal year. In the third quarter of fiscal year 2012-13, the company had reported net loss of Rs 189 crore. 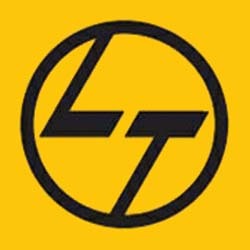 Engineering and construction conglomerate, Larsen and Toubro Ltd (L&T) said on Thursday that its L&T Construction has been able to secure orders worth Rs. 2,080 crore in various business segments during February and March. The government might be planning to sell its 10 per cent stake in Engineers India Ltd (EIL) through an open public offer. The Cabinet Committee on Economic Affairs (CCEA) approved the proposal to divest the stake in the company. The government is expecting to generate as much as Rs 800 crore this fiscal through the sale of stake in the consultancy giant. India leading engineering & construction firm, Larsen and Toubro (L&T) ahs reported an increase of 18 per cent in the quarter till December 2011. The company had recorded a net profit of Rs 840 crore in the same period previous year. Other income for the firm increased 78.9% to Rs 449 crore compared to Rs 251 crore during the same period of 2010. 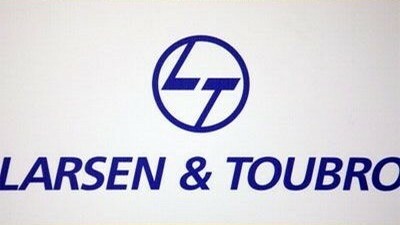 Mumbai, May 19 : Engineering and construction major Larsen and Toubro (L&T) Thursday posted a 17.39 percent increase in its net profit for the quarter ended March 31, which stood at Rs. 1,688.21 crore as against Rs. 1,438.10 crore during the like period of the last fiscal. The company's gross sales rose 12.78 percent to Rs. 15,212.74 crore during the quarter under review, compared to Rs. 13,489.52 crore during the corresponding period of the last fiscal, the company said in a regulatory filing. The renowned business entity, McNally Bharat Engineering Company had claimed a down fall in its standalone net profit for the quarter lasted in the March 2011. It has further announced that the company profit had rolled down 0.45% to Rs 223.40 million from Rs 224.40 million as compared to the same quarter last year. McNally Bharat Engineering Co. Ltd (MBEL) Q4FY11 standalone results were in line with our expectation. Revenue grew by 23% to Rs6.9bn. OPM declined by 132bps to 5.9% mainly due to higher employee cost. Adjusted PAT was flat at Rs223mn. On an annual basis sales grew by 18% to Rs. 17.5bn and PAT grew by 43% to Rs495mn led by higher other income. However, the performance of McNally Sayaji was not very encouraging as for FY11 sales de-grew by 4% to Rs3bn and PAT de-grew by 20% to Rs186mn. Mumbai, May 10 : India's top power producer National Thermal Power Corporation (NTPC) Tuesday posted 38 percent increase in its net profit at Rs. 2,781.84 crore for the quarter ended March 31 as against Rs. 2,017.65 crore during the like period of the last fiscal. Net sales grew 25.62 percent at Rs. 15,518.94 crore during the quarter under review as compared to Rs. 12,353.39 crore during the like quarter of the last financial year, the company said in a regulatory filing. The company also recommended final dividend of Rs. 0.80 per equity share. Motilal Oswal is bullish on Larsen and Toubro and has maintained 'buy' rating on the stock in its latest research report. According to the research report, the investors can buy the stock to achieve a long term target of Rs 1905. The stock of the company, on March 07, closed at Rs 1567.55 on the Bombay Stock Exchange (BSE). The share price has seen a 52-week high of Rs 2212 and a low of Rs 1484.70 on BSE. Current EPS & P/E ratio stood at 57.63 and 27.09 respectively. Technical analyst Deven Choksey of KR Choksey Shares & Securities has maintained 'buy' rating on Larsen & Toubro Limited stock with a target of Rs 2200. According to analyst, the investors can achieve the said target within a period of 12 months. Today, the stock of the company opened at Rs 1611 on the Bombay Stock Exchange (BSE). Current EPS & P/E ratio stood at 57.63 and 27.61 respectively. 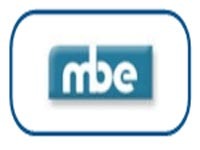 McNally Bharat Engineering Co. Ltd (MBEL) reported Q3FY11 standalone YoY revenue growth of 13.8% to Rs3.8bn. OPM declined by 40bps to 6.5%. Adjusted PAT grew by 19.7% to Rs83.4mn mainly on account of lower interest cost. The 9MFY11 performance of McNally Sayaji was subdued as sales grew by mere 7% and PAT de-grew by 35%. We remain positive on the long term prospects of the company but lower our PE multiple from 12x to 10xFY12E in line with broader correction in valuation of infra stocks. We maintain BUY with a revised target price of Rs275 (10xFY12E). Elecon Engineering (EECL) results were in line with our expectations. Sales registered 20% YoY growth to Rs3bn. OPM improved by 90bps YoY to 16.4% due to decline in RM cost. Adjusted profit grew by 34% to Rs163mn. Order inflows witnessed healthy growth of 119% in Q3FY11 (YoY Basis). We remain positive on long term prospects of the company but lower our PE multiple from 12x to 10xFY12E in line with broader correction in valuation of infra stocks. PINC Result Review – PATEL ENGINEERING LTD. Weather plays spoilsport; order inflow remains subdued Patel Engg. reported dismal results, multiple factors effected revenues a) flash floods effected two of its hydro projects which lead to revenue loss of Rs600mn & heavy snowfall in US also effected its US operation. b) Cancellation of Loharinagpala hydro electric project (4x150 MW) from NTPC c) Delay in execution of Pranahita Chevella irrigation project. AIA Engineering's (AIA) Q3FY11 results were below our expectations. Revenues grew by 15% YoY to Rs2.93bn against our estimate of Rs3.1bn. Higher RM cost (which could not be passed on fully) adversely affected margins which fell by 540bps at operating level. Realisations however, improved to Rs97/kg vs Rs86/kg (YoY basis). Management has further reduced its volume guidance for FY11 and FY12 by ~4-5%. Rupee appreciation and volume growth remain key risks in the long run. At current price we believe the stock is fairly valued and therefore, recommend a HOLD with a target price of Rs355 (14xFY12E).